Thomas A. Bavolar, 73, passed away peacefully on Monday, August 06, 2018 at Overlook Hospital in Summit. Born and raised in Bayonne, he graduated from Bayonne High School, and went on to earn a Bachelor of Science Degree from Jersey City State College. He furthered his education by earning a Master’s Degree from Montclair State College. Tom started his teaching career at Edison Intermediate School in Westfield before spending 35 years as a science teacher at Columbia Middle School in Berkeley Heights. Tom was also the treasurer of the NJ Watercolors Society for many years. After his retirement, he opened Tom’s Model Train Shop on E. Second St. in Scotch Plains, which he ran for 17 years before transferring his business online. He is survived by his loving wife, Marion Bavolar (nee Obremski); three daughters, Lauren, Sandra, and Rachel, and his four beloved grandchildren, Ryan, Beverly, William, and Robert. Visitation will be at Dooley Colonial Home, 556 Westfield Ave., Westfield on Tuesday August 7th from 4-8PM. A Funeral Mass will be on Wednesday August 8th at 10AM at St. Helen’s R.C. Church in Westfield. Interment will follow at Holy Cross Cemetery in North Arlington. In lieu of flowers, donations may be made to the Westfield Rescue Squad. 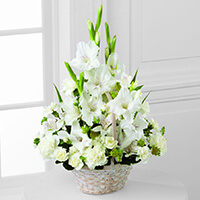 To send flowers to the family of Thomas A. Bavolar, please visit our Heartfelt Sympathies Store. Our deepest sympathy to you all during this most difficult time. May you take comfort in your loving memories.